What can idoo Video Editor do for YouTube? YouTube: More Supports to Live Game Show. Recently YouTube announced at its new API at GDC (Game Developers Conference), by which the developers can broadcast the live game show just like “Call of Duty: Black Ops2”. It said that this technology had used in “Call of Duty: Black Ops2”, which enables players to broadcast the live game show, while this time API opened its gate to more developers. Moreover, this new function may permit players to suspend during the game to insert static diagram or advertisement. In YouTube’s opinion, this will be a new way for players to share the games with people, and it will hopefully bring benefits to players. Now there is the trend of the live game show; many players watch game video on Twitch TV. What will it bring to game video websites like Twitch TV? Let’s wait and see. YouTube is the top platform for video sharing, and judging from the current situation, there may well be more new trends and challenges. It is becoming an essential function for video editors to provide more materials for YouTube. And it is also of paramount importance for video editors to keep updating to support more and more new streaming media formats. 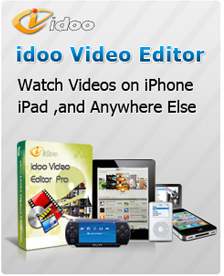 idoo Video Editor is a great YouTube video editor for you, which can create, edit or convert various videos or audio easily. As a popular software for most general families, the smooth operation and full function of idoo Video Editor, especially the function of format conversion for developing new media devices, it enables you always keep a space with those large sharing platforms. 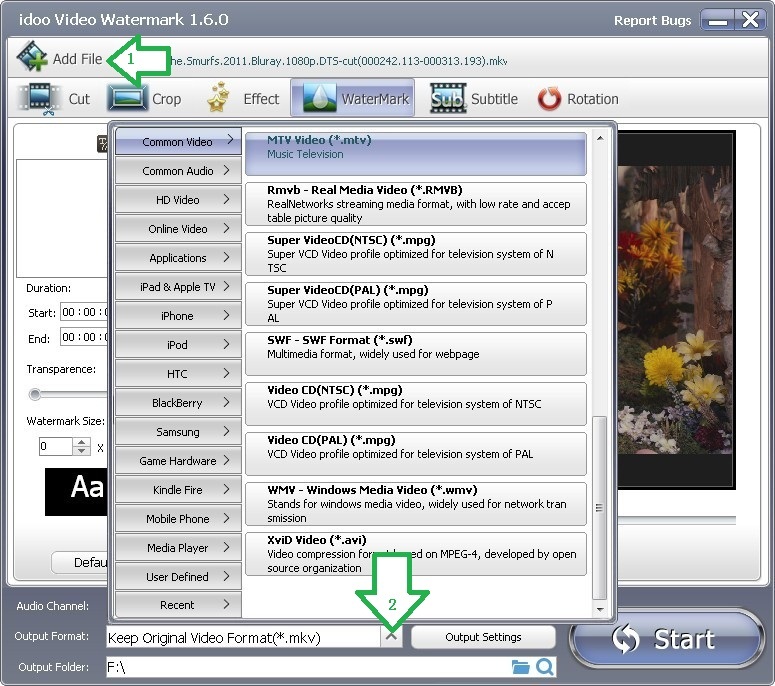 idoo Video Editor also supports SWF files, and not all similar software can do so. This makes the editing and conversion of game videos, flash videos and other format videos possible, and also meets the need for technology development of YouTube. All of these show us a powerful YouTube video editor. 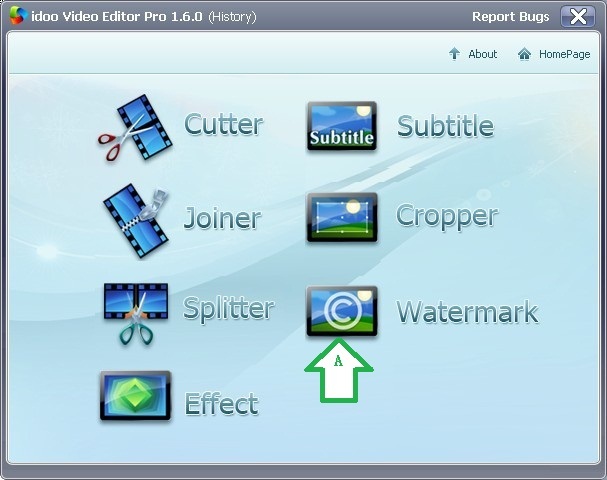 Meanwhile, idoo Video Editor integrates the format conversion into each sub-functions, such as Cutter, Cropper, which enables you to do your editing job more efficiently. How to edit a YouTube video? 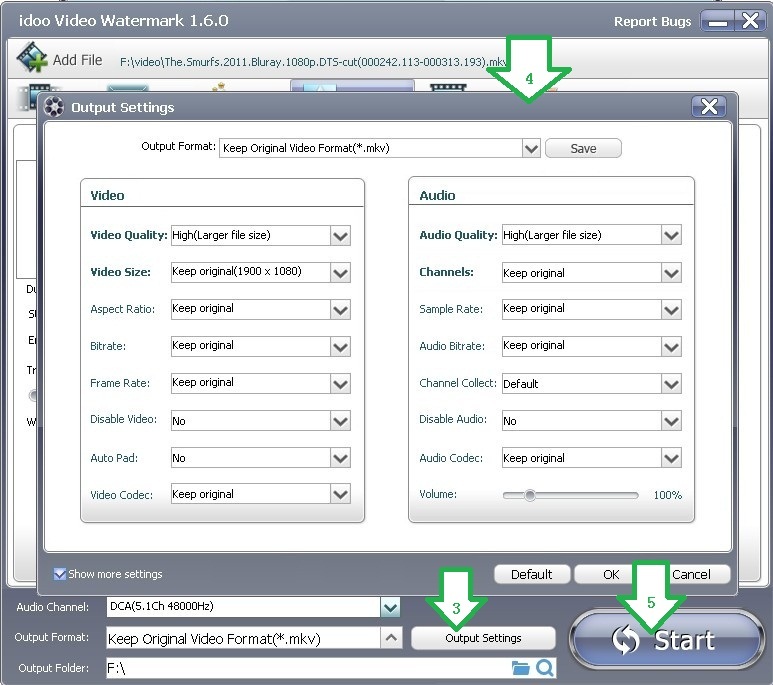 The following part will show you the excellent watermark function of idoo Video Editor. 3. After editing, click the drag-down list of “Output Format” (Arrow2) and select the target format in the list. 4. Click “Output Settings” (Arrow3) and in the dialog box(Arrow4) to make advanced settings for the output file. 5. Click “Start” (Arrow5) to begin editing. Then to check the output file or edit it.